Give guac an upgrade with this Guacamole Salad recipe. 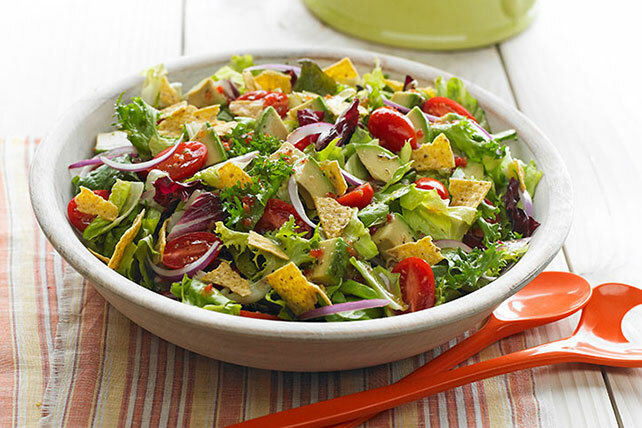 This bright and crisp Guacamole Salad includes tomatoes, lettuce and a dash of fresh lime juice. Mix dressing and lime juice. Add to salad; toss to coat. Add chopped fresh cilantro for extra flavor. Makes 8 servings, 1-1/4 cups each.